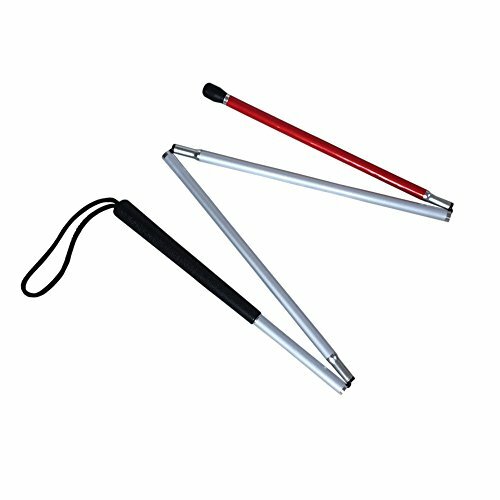 This Aluminum white cane is durable and flexible, it is lightweight and come with a large diameter tip made of long life super tough polymer and it has a firm rubber grip handle. New joint design provides superior tactile transmission. Canes fold and unfold with ease. * White and red reflective for nighttime visibility. * 120cm(47.24inch) long when open. White and red reflective for nighttime visibility. If you have any questions about this product by VISIONU, contact us by completing and submitting the form below. If you are looking for a specif part number, please include it with your message.